Like all English primary schools we had to adjust our assessment procedures to meet new statutory requirements, as laid down in the New National Curriculum, which became effective from 2014. All primary schools had to change their assessment tracking from the old National Curriculum levels ( eg 2b, 4a etc) , to New Curriculum assessment without levels (AWL), where the child is assessed against national expectations for their age group, as defined in the new National Curriculum. In 2015, to avoid confusion ( and nationally there was concern amongst schools about how exactly the new system worked) like nearly all schools we spoke to, we assessed all our children using the old levels for the academic year 2014-15. School wrote to parents explaining this when we sent out children's reports in July of that year. (See letter below). 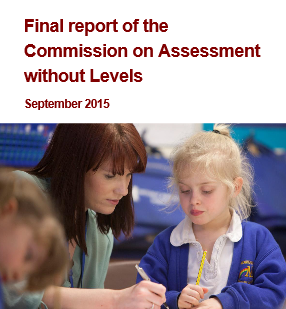 Since then, from 2015-16 all children were assessed against the new expectations. Teachers review where the children are at the beginning of the year, during it and where they finish it, this gave us a picture of children's progress. At the same time teachers make an assessment of pupils effort. How much determination, focus and resillience they show. We share this with parents at parent's evenings, alongside the pupils annual report and any statutory results. We hope this section of our web site helps answer parent's enquiries and questions about how we assess your child's learning and our assessment system. We apologise if it seems somewhat complex but the Department for Education (DfE) left schools "free" to decide how this process should work. For some time the picture for schools was not completely clear, but now - with a few years under our belt (and in our case two assessment tools later) we believe school has a evolved a strong, secure process by which we can track your child's progress from their own personal starting point. 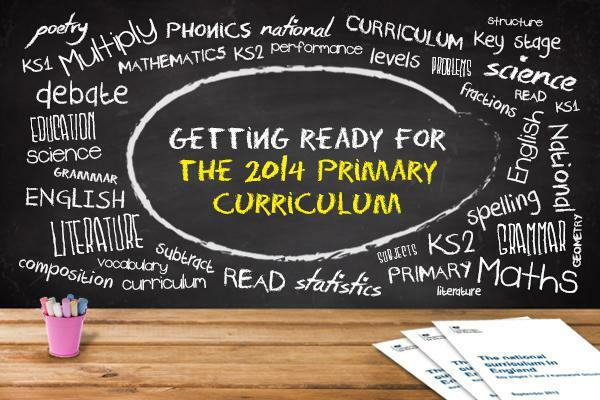 What exactly is "Primary Assessment"? The DfE expects a school's assessment cycle to show, at any given time, how a child may be working at one of several stages in relation to the age related expectations set for the end of each key stage. A judgement is made in this respect at the end of each key stage journey that is in Years 2 and 6. These are Working towards the expected standard - not met it yet, Working at the expected standard., Working at greater depth within the expected standard. The aim is a concept of deep learning, of "Mastery" of the curriculum. This concept is best understood as being: those at deep, "Mastery" level are able to take the knowledge and skills they have learnt from the "Known" (eg a method of sentence construction taught in their morning English lesson) and apply it to the "Unknown (for example an explanation of a scientific phenomenon in an experiment taught in the afternoon some days later). This shows how learning is embedded and applied in a range of contexts. For some children with very specific needs they may be at a pre-key stage level and there are descriptors ( that came from the Rochford review of SEND) that are used here. 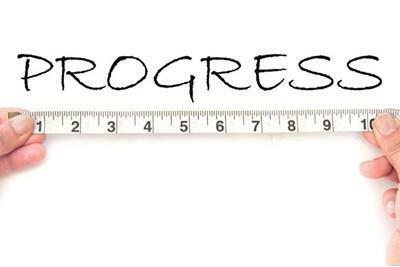 How do we show progress? The new curriculum is more advanced than the old so, in its early years, many children were not working at the desired level. This was because, either the subject matter had not yet been taught or, was not on the previous curriculum and was new. Many children , at the start of this process, were often working at a level different to their age, this is less common now. However, we judge success based on the progress children make from where each of them starts, while aiming to move them towards the age related level as soon as is possible but without undue pace so skills are embedded. Children whose level is adrift of their peers receive additional intervention aimed at closing gaps effectively. Children who meet the standard are supported to develop and broaden their skills, use and apply them, rather than keep driving them on wards via an upwards only trajectory. To begin with, how exactly this was going to work, where grade boundries would be for "success" at the end of Y2 and Y6 was very much unknown and how this was going to be used to show progress from an earlier time in school eg KS1, was unconfirmed. To work completely alone as a school would make it difficult to moderate our judgements against a bigger picture. Therefore, in conjunction with our group of collaborative schools (Osbournby, Ancaster, Navenby and Welbourn), we initially decided to purchase an assessment programme together so we could robustly track children’s attainment from their individual starting points. The programme was called "Assertive Mentoring". In 2017 we moved on from this paper based/ excel system to one which was internet based and more intuitive, "ScholarPack". Within a Step, for each objective, a child may be at one of several stages of attainment ( see below), progress from one to the next increases their points : E=Emerging à D=Developing à S=Secureà W = working at greater depth à W+ = a child who has a much deeper, broader level of understanding than average for their age. As children make this journey, teachers record this on the system, a maths example for Step 4 is shown below, each column relates to a different child and their proficiency at that moment in time. Steps are broken down into check points, which is when teachers collect and analyse their assessment data and update their tracking ( the rationale behind these decisions is given below). There are 6 checkpoints in a year: check point 1 in October, 2 at Christmas, 3 in February, 4 at Easter up to 6 by the end of July. There are suggested numbers of points a child should have attained by each check point. So, for example, age related attainment for a child in Year 3 in reading, at Easter would be represented as 3:4 i.e. working at Year 3 objectives at a check point 4 standard. This movement through the check points can be given a description to show how the child is progressing. To start a pupil is demonstrating emergent , beginning, skills. As they progress they are developing we can see their skills growing . With more progress we can say that a child is there, working at a secure level in that objective in that stage. When a pupil advances further we can say they are ready for the next step, working at a greater depth. Those at a stage above this have reached a deep level of learning, they should be very secure, they are able to show Mastery of a subject at a greater level than most other children in their peer group. At each check point a teacher makes decisions based on all their evidence for each objective, each progressive decision made adds points to the total. The points correlate to a step and check point equivalent. Below you can see examples of this in a Year 3 English where the final summative decision is driven by the points scored. This is not a precise science as every child is different! How do we decide where to start? How do we decide what progress has been made? We use a range of strategies to decide where to "start" the children off on their new curriculum assessment journey and then how to measure progress as they secure new learning. We may use an age appropriate assessment test, one that teachers know is the right level for the pupil based on historical performance. The results of such tests help support our decision about us their "Step" e.g. Step 3 developing . If they found the test to simple or tricky we may move the assessment up or down a little until we have the best match. We have purchased nationally approved and bench marked test materials from suppliers such as NFER for reading and Scholastic for maths. For Reading we will also listen to children read aloud, discuss texts with them and may carry out a running reading test to check accuracy or fluency - such as those in our PM bench marking resource. This helps confirm the their reading book level too. Teachers will observe children at work and match what they see and hear to age appropriate expectations. Oracy is key to mathematics too as children explain their reasoning. Writing presents a range of skills to be assessed which need to be observed and demonstrated over time such as grammatical knowledge, progression in spellings as well as the skills needed to plan, write and edit their own written work.They will look carefully at independent written work across the curriculum - not just in English lessons. They will note children's response to feedback and their ability to improve their own work. All of these will give a holistic picture of the child. This teacher knowledge of the pupil is paramount and when used along side evidence collected over time of independent work, tests, observations and other sources such as photographic or video your child's teacher knows where each pupil is on their assessment journey. Academic success is rarely achieved without the right attitude to learning. At the end of the year we provide criteria against which attitudes can be tracked and children supported to make improvements, should this be required. If there are concerns these are raised at parents evening during the year. This covers behaviour in and out of the class room, uniform, attendance, effort, home work and punctuality. The vast majority of our pupils have very positive attitudes to learning and this should be praised and acknowledged, which we do in our TRY and Shield assemblies and by awarding tickets on a daily basis.